Over a decade ago, Hawaiian career wine professional and judge Randal Caparoso encouraged wine drinkers to have more fun and be more creative with their wine tasting metaphors. 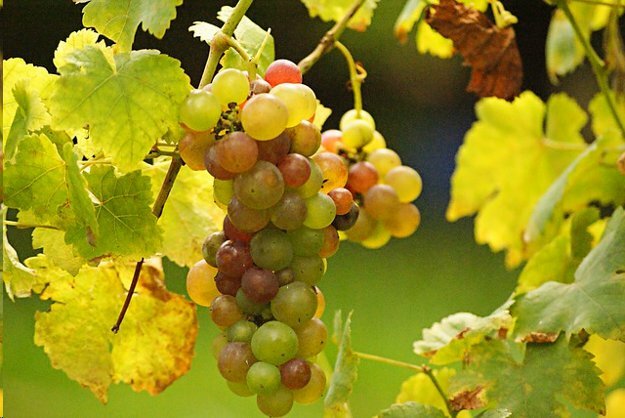 Oaky, smokey, or woodsy, Caparoso inferred, is for sommeliers and connoisseurs. Instead, it would be best for the drinker of a New Zealand Sauvignon Blanc to imagine her wine tasting of cold steel and gooseberry pie, or perhaps Uma Thurman in a full metal jacket. That, Caparoso said, is what makes drinking wine classy and sophisticated and, at the same time, ultimately fun - what each glass actually means to the drinker. Even a decade ago, Caparoso was on to something. In particular, it is the way wine relates to the modern drinker and how the industry is taking note of what that means for their business. The way Millennials are drinking wine has reshaped and re-imagined everything - from the way it is being marketed, to how it is packaged, to how it is being delivered to consumers. In a way, this is due in large part to the usual markers commonly given to this generation: the need for immediate satisfaction, the social aspects of wine drinking, and the amount of information that can be so readily and quickly obtained. But other factors include traits that would not be usually associated with wine drinking, such as the sense of adventure and risk taking, lower price points and affordability, and the extent of influence that Millennials have on other generations, among other things. Meanwhile, winemakers and their marketers are doing their part to ensure that the well of profits that Millennials provide is tapped to maximum output. Since the early ‘30s, at least in the United States, wine consumption saw a very slow but steady increase until it took a plunge during the ‘90s, only to see a tremendous surge since the beginning of the 2000s, when the first of the Millennials became of drinking age. It has been in a stable increase rate since then. Early this year, there was somewhat of an uproar when the United States became the number one consumer of wine per volume, unseating France, the longtime incumbent. This means that nearly 4 billion bottles of wine were consumed in the U.S. alone during 2013, or about 12 percent of the entire world wine consumption. Per capita, the U.S. is still far behind its European counterparts, but the wealth of profitability that this incurs lends itself to countless approaches in terms of marketability and purchasing power. Not surprisingly, Baby Boomers are still the top consumers of wine in the United States at 41.4 percent of total consumption; Millennials come in second at nearly 27 percent, and that number is rapidly increasing. Marketers understand that the Boomers generation is slowly but surely dwindling in numbers, while Millennials will only continue to grow as more of them become of drinking age. As Millennials make their move out of college and into the workforce, their drinking habits also change. They opt for the sophistication often associated with wine—as well as cocktails and craft brews—over the party favors of liquor and mass-produced beers. In addition, Millennials apparently do not need a special occasion to drink wine; rather, they find drinking wine to be a social activity as well as a relaxing one, such as when cooking or watching television. The reverberation of this is that while Millennials are paying less for wine than their Boomers counterpart because of socioeconomic reasons, they are consuming it far more often. 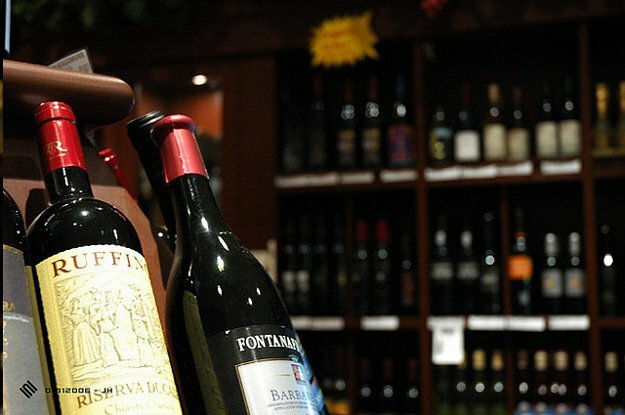 A Boomer or Gen Xer, then, may find it rewarding to buy an expensive bottle of wine that will taste good in 10 years and save it for a special occasion down the road, while Millennials are more likely to buy a few, rather cheap bottles to be consumed immediately per occasion, though this is not necessarily true when it comes to consuming wine in specific environments. The art of marketing wine to Millennials has thus taken its own form. For an industry known for its long history of loyalty and systematic hierarchy of regions, vintages, and grapes, this meant taking some risks and, given the industry’s long storied traditions, this is a far stride. There is a methodical way of purchasing way, it seems. It starts with deciding on a price point, which is largely influenced by the occasion of the purchase itself, followed by the grape, the vintage, the region and, lastly, by the most attractive bottle. This is the same structure that marketers pay attention to when looking into the habits of Millennials purchasing wine. 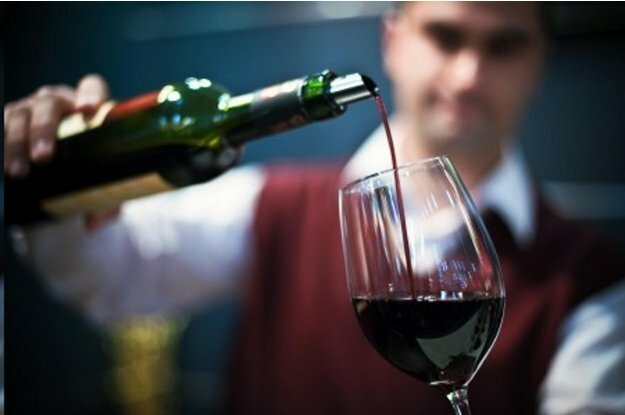 On average, Gen Y consumers, who drink nearly three glasses of wine per occasion, will spend approximately $15 on a bottle to take to a party, $20-$30 on a bottle for themselves or to drink at home, and $50 or more while dining out, preferring to drink by the glass than to purchase a single bottle for the duration of their meal. This eclipses the habits of both Boomers and Gen Xers, who are less likely to drink casually at home and ultimately spend less while dining out, opting to purchase a single bottle of wine over a number of glasses, bringing the sales figures down. This has had direct and influential impacts over small-scale and local winemakers, who are often able to keep the retail price of their products under the 20-dollar mark while offering only a few numbers of options at a slightly higher price point to fill all the gaps. With the costs of producing at a small scale kept relatively low, complete control over the management and production processes, and the shipping of their products, small vineyards and winemakers have found that offering a quality, simple, and relatively low-priced product is indeed in their best interest. Coupled with the stories behind their bottled liquid, small producers are tackling the growing number of wine-consuming Millennials right from the get go. Millennials, in an often-beleaguered trait of their generation, prefer a product with an interesting story behind it over a tried-and-true one. This is the same generational trait that is frequently quoted as being a major factor in the food revolution sweeping the nation - demanding more healthy, organic, fairly sourced choices, as well as knowing where any given product they are consuming comes from. This, in turn, is largely the cause of the ease in which Millennials are able to access information, being technology and information driven. Wine is no exception. As with the case of desiring a more immediate outcome, Millennials are more likely to be attracted to a wine bottle made seasonally by a mom-and-pop operation than Gen Xers and Boomers, who would probably prefer a loyalist approach to a grand cru from the Entre-Deux-Mers region. In fact, as many as 85 percent of Millennials frequently purchase unfamiliar brands, according to research conducted by the Wine Market Council. For winemakers, this means being able to keep their operation to a small scale while still making profit with, perhaps, the flipside of remaining relatively unknown. In other words, Millennials love a good tale and prefer an interesting, whimsical label over one depicting hills and skies. It is probably safe to say, however, that both winemakers and Gen Y consumers actually look for similar things in their wine, which is a simple, authentic, good tasting product with little additives, relaying more on the seasonality of the grape and the output of any particular vintage. Consequently, given the proficiency of Millennials in accessing and obtaining information, wine has taken a very social aspect to its marketing. Learning about wine has never been easier. A wine drinker no longer needs to be in Napa or in Bordeaux to access information about a particular grape native to the region, nor are modern consumers limited to a local wine shop that only carries Chiantis, Cabernets, and Pinot Grigios. With the wealth of small, dedicated wine shops in the age of information, Millennials have found that it is very easy to have a relationship with wines. In hand with this is Gen Y’s reliability on social media. That is to say, Millennials will trust the opinion of their Facebook friends or a consumer-driven review site far more than those of experts and professional sommeliers. For this reason, the wine industry has taken substantial steps to ensure that their branding is represented in such a light. For example, Constellation Brands, the second-largest wine seller and brand building in the world, recently supercharged their branding techniques to aggressively target younger consumers, particularly in social networks. In 2010, Constellation increased their digital marketing budget to $10 million, and by 2011, the budget had been raised to $15 million. By staging “Twitter parties,” encouraging online dialogue, offering a more transparent look into their products, and focusing on the habits of their target consumers rather than on the products themselves, the company helped boost the sales of some of their products by up to 20 percent over only one summer season. But perhaps one of the most surprising traits that wine-drinking Millennials have is the way in which they can influence older generations to follow suit. They encourage, even, older generations to be more adventurous wine drinkers, and this is something that marketers are counting on. The industry asserts that once Baby Boomers are able to get over their preconceptions and often ill-placed loyalties over wine, they are likely to be just as open and willing to explore the vast world of vino that is available to them. What’s more, they have the cash to do it right and more often. Eventually, the industry has found, older generations will start to act exactly like Millennials with their wine-drinking habits, relying more on their own tastes, demanding more meaningful information, and discovering previously unexplored options. This prevalence of Baby Boomers acquiring younger generational traits and becoming more technologically savvy and adventurous in their drinking and eating habits is so rampant that the media has even coined a term for them: Silver Surfers. It is not surprising, then, that the wine industry has taken a sharp turn on its marketing and branding efforts. Some argue that the future of wine is the box because it offers mobility and an eco-friendly solution that Millennials desire, while others declare that taking a more design-savvy approach to bottles and labels is the surefire way to attract and keep this demographic. Whatever the case may be, what is certain is that Boomers will keep on drinking wine, Gen Xers will mostly fall between the cracks by choosing beer and liquor, and Millennials will continue to provide a growing number of consumers for winemakers. And like any other business, the industry is out to make a move and keep this generation of wine drinkers. In their efforts, tangents, some unforeseen, will become apparent. It may be that drinking wine will eventually turn into another social, fun activity, like status updating and retweeting. Angelo Franco is a contributing writer at Highbrow Magazine.